Thanks for your interest in Apwide File Field app for JIRA. With version 1.1.+ you can activate the "Auto clean" option in the configuration of your custom field. 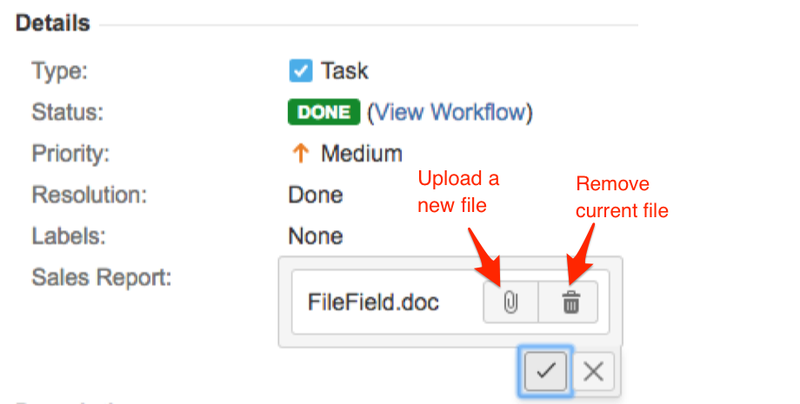 When this option is activated, old file is automatically removed from the file system when uploading a new file. Learn how to use the REST API. We are happy when we can make your life easier, do not hesitate to contact us.